The classic Huarache gets a twist with the Nike Air Huarache Run Premium Zip, featuring a gusseted tongue that unzips to reveal hidden branding. Wear it zipped, laced or totally undone—its cushioned bootie will keep your foot secure with a snug, sock-like fit. Bold branding adds to this irreverent take on a Nike icon. Cushioned bootie and zip tongue give a sock-like fit with easy on and off. 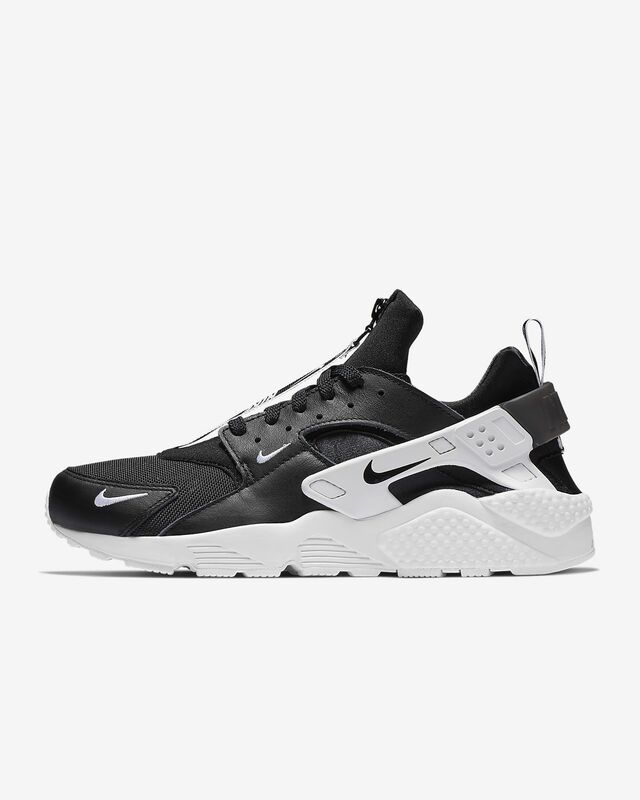 Rubber strap and cage on the heel offer extra support and a classic Huarache look. Air-Sole unit and Cushlon foam provide soft, springy cushioning with a supportive feel. Designed by Tinker Hatfield and released in 1991, the Nike Air Huarache shook up the running world. The idea behind the design was a bold one: to combine the functionality of South American sandals with the fit of neoprene water-ski boots. The risk paid off. The Air Huarache was such a hit that it soon found its way to basketball courts and then the streets, where it earned its status as an icon. I bought these shoes thinking they were going to last me for at least 3 months or more but instead they lasted me 2 weeks and I didn’t wear them everyday because these are the type of shoes I would only wear for at least 3 days a week for a P.E class and when I didn’t have P.E class I wore Timberlands. The front part of the she (trip guard) started to come off and I have a classmate who has the same shoes as me thinking it was just me his was also coming off.